What does Move to iOS app transfer? Read this guide to get the answer on what you can/cannot transfer with Move to iOS app. This powerful tool can help you transfer data from Android to iPhone easily and quickly. Remember to give it a try after you have read this what does Move to iOS app transfer guide. When you are looking for methods to transfer data from your Android phone to your new iPhone, Move to iOS app appears on the webpage of Google. What is Move to iOS? It is one Android app developed by Apple to help users transfer Android data to iPhone easily, which you may have already known. Then what does Move to iOS transfer? Here in this guide we will tell you the answer. 1. If you want to transfer music or ringtone from Android to iPhone, you can go to Part 3 to learn some alternatives to Move to iOS that can help you transfer these items. 3. Does Move to iOS transfer apps? The answer is no. If they apps are available on both Google Play and the App Store, then the apps will be added to iTunes Wish List if you have a valid iTunes account. Move to iOS app is a great tool to help users switch from Android to iPhone, but it isn’t the best choice. It cannot help you transfer all the phone data, and you may meet problems during the process like not connecting to device, stuck on transferring, the transferring takes forever etc. 1. 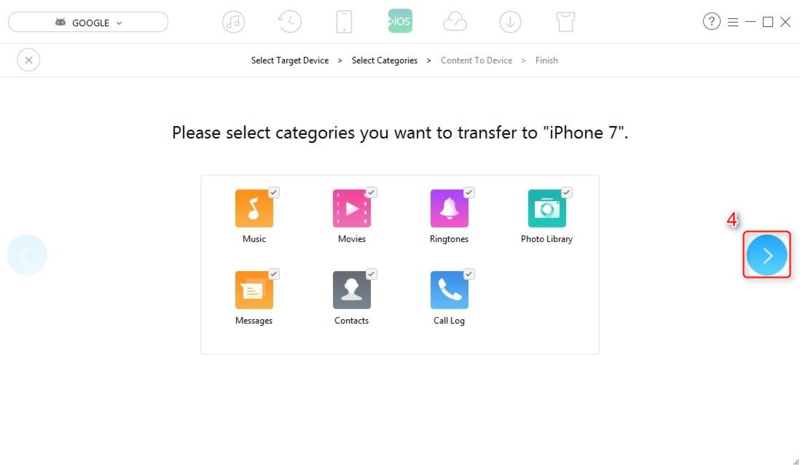 AnyTrans lets you preview and then select the data you want to transfer, like contacts, messages, music, photos, videos, calendar. 2. You can selectively move some specific data type and title, and also all Android data to iOS in one click. 3. It also help you move Android data directly to iTunes and iCloud. 4. Supports Samsung, HTC, Sony, Google, LG etc. and iPhone 7/6s/6/SE/5s/5c/5/4s/4/3GS. Why not give it a try by yourself now? 5. Best of its best, it is totally a free function. Step 1. 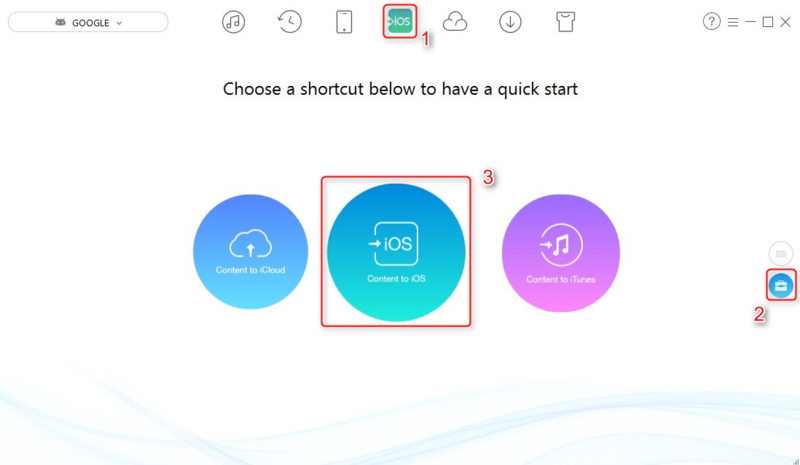 Run it on your computer > Connect both Android and iPhone to it > Jump to iOS Mover page > Scroll down to the shortcut screen > Choose Content to iOS. Step 2. Choose data types, and then click right arrow to begin transferring. If you have any question after reading this what does Move to iOS app transfer guide, please free feel to tell us in the comment section and we will reply to you as soon as possible.